Have you heard of Headspace? It’s a meditation app co-founded by a former Buddhist monk and boasts over 20 million users. How about Talkspace? It’s an app that matches you with an online therapist you can reach out to whenever you need. This app has over 1 million active users. I’m sure you’ve heard of Udemy, Coursera, and Lynda that offer a large selection of online courses you can complete at your own pace. In the last few years, there has been an influx of companies like these. All aiming to help us achieve better mental and physical health, acquire new skills, and expand our knowledge. And the reason these types of sites and apps continue to grow is because of our human need and desire for SELF-IMPROVEMENT. Once our basic needs of safety, shelter, love and esteem are covered, we look towards achieving self-actualization. This means, we want to reach our full potential and become all that we can be. It’s exciting that advancements in technology have greatly expanded our options and placed helpful resources within greater reach. However, these same advancements have also resulted in a superficial sub-culture that promises fast, easy, over-simplified and painless results. To escape the superficial self-improvement culture, individuals are now seeking new, reimagined, and more substantive forms of inner growth and self-discovery. Ones that push past the boundaries of “improvements” and offer greater self-actualization, deeper connections, and more personal discovery. 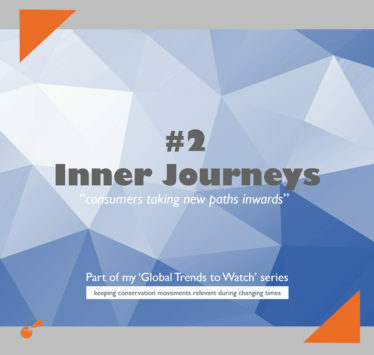 In many cases, these inner journeys are experiences that combine in-person activities with technology. Bringing together the best of both worlds in a moving and memorable way. 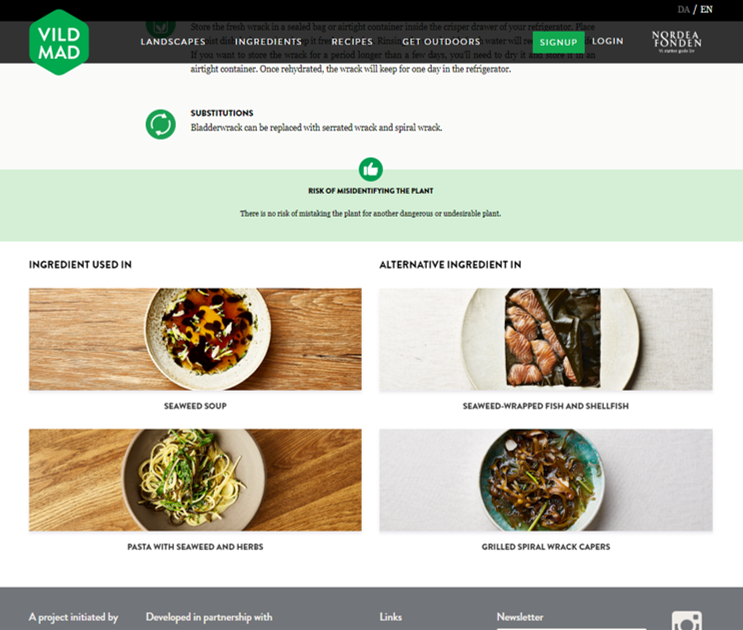 Like the mobile app, Vild Mad (meaning Wild Food), created by a Danish chef that teaches people how to forage. 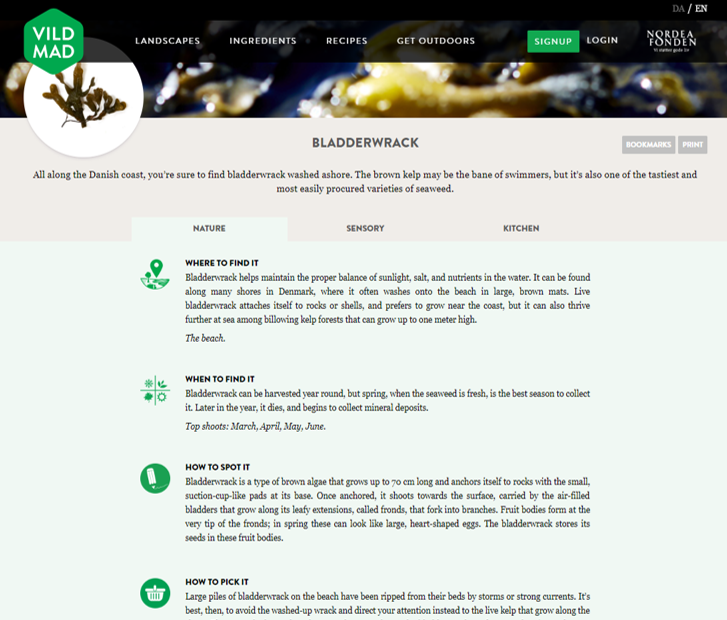 It gives clear instructions on finding and identifying wild food (including ones to avoid) and how to prepare them for eating. This app encourages individuals to get out and explore the nature around them; fosters a deeper connection between them, their neighborhoods, and the foods they eat; and teaches new skills in plant identification and cooking. It’s a perfect mix of connection, fulfillment, capacity building, and discovery – with technology helping to bridge this ancient technique with today’s consumer expectations. Environmental organizations are in a GREAT position to provide inner journey experiences focused on nature and the outdoors! It can be a way to engage new audiences, delight prospective and existing donors, recruit volunteers, and increase membership rates. Offer cooking classes that use local, seasonal ingredients AND teaches individuals how to use food scraps to reduce food waste (like infused olive oils, jams, and vegetable stock). Recruit and engage volunteers in important work like litter clean-ups, leading nature tours, pollinator-friendly gardening, and more. Provide space for meditation or yoga that more deeply connects individuals with nature and animals. Zoos and animal sanctuaries could be a hot-spot for an offering like this! It’s worth exploring how the type of work your organization does, and the places where you work, can help individuals in their journeys of self-discovery. during a free live webinar I held on June 27, along with several others. Watch the replay here. And don’t miss out on future webinars – join my email group to be the first in the know.